Beartown, Beekmantown (NE) • 25 skiable acres on 150′ vertical Sorry, Beartown has no website. Specs: 2 Lifts: 1 t-bar, 1 poma. Terrain Mix: Novice to easy Intermediate. Longest Run: 1,200′. Season: December through March (?) Th-Sun plus school holidays. Night skiing Th-F. Annual Snowfall: 100″. Snowmaking. The SKInny: Small New England “town tow” type operation run as a non-profit. I’ve often thought they should come up with a slogan like “Best skiing between Lake Champlain and Whiteface!” but somebody might figure out that it’s the only skiing between…well, you get the idea. Plenty of terrific terrain for beginners, families, etc. A great little ski area with a top adult ticket price of around $15. We need more Beartowns. Specs: Summit elevation: 3429′; Base elevation: 2025′. 9 Lifts: 1 gondy, 2 quads, 1 triple, 2 doubles, 3 handle tows. Uphill Capacity: 10,980/hr. Terrain Mix: 21-62-17. Longest Run: 12,024′. Season: usually November through early April. Annual Snowfall: 141″. Snowmaking: 96%. The SKInny: Operated by the State of New York Department of Environmental Conservation. One thing about the NY DEC, they take their recreation seriously. Belleayre is often the first open, last to close. There’s some serious terrain here — more like Windham than Hunter — nothing as steep and long as Hunter West. Most of the expert trails are tough for a short drop, then ease off to a gentle run out. But you can find some seriously tough skiing here; take the snowcat to the woods and you’ll find out what you’re really made of. On the other hand, this is a much more family-friendly ski area than Hunter or even Windham, with fewer crowds and a more low-key atmosphere than Hunter, and more novice terrain than Windham. The knock on Belleayre has been the short runs, slow lifts, and difficulty moving about between the lower “novice” area and the upper main mountain. Indeed the 1400′ vertical is a bit misleading; to get the full run you are required to ski through to the lowest area, then have to double up on chair rides to return to the summit. Hotshots find plenty of challenge on the steeps or in the woods, but these are short stretches that flatten out into easier runs. Wanderers will love Belleayre; as mid-sized mountains go it’s vertically smallish, but spread out with lots of exploring to do. Strong blue skiers will be delighted by the difficult but brief drops that help elevate their game. From the summit, skiers can move to either of two blues that switchback down the sides to avoid the white-knuckle drops on the face. Little known fact: Deer Run (a blue) has a full-blown 20′ rock drop for huckers who are so inclined, as well as some smaller ones in many spots. Belleayre also has “mid stations” on each summit lift that are more like “three-quarter stations” enabling you to avoid the steeps at the summit if you wish. Note that the double blacks are usually mogul runs, and the single blacks are just as steep but often groomed…and lots of fun. An all-around pleasurable ski area, we’ll rank it 5th best in the state, and on any given weekend it fights for higher. Specs: Summit elevation: 3345′; Base elevation: 2295′. 2 t-bars. Uphill Capacity: 1,800/hr. Terrain Mix: 20-50-30. Longest Run: 7,920′. Season: usually mid-December through late March. Annual Snowfall: 100″. Snowmaking: 20%. The SKInny: Bobcat is real skiing. Some might counter with “real old skiing.” Either way, it’s definitely a throwback. Minimal snowmaking, virtually no grooming, and the ride up is just as taxing as the ride down. Some trails are narrow and not for the faint of heart. Liftlines are short, tickets are cheap, trails are uncrowded. Did we mention that the skiing can be fabulous when conditions are “on,” which they often are? This is a skier’s ski area — a Catskills version of Mad River Glen. Ski Bobcat as often as you can. Wanderers will find plenty of side chutes, cut offs, trees, etc. to keep the day interesting. Hotshots will wonder where their adoring fans are. Solidly one of the top ten in New York. Update 2018: Bobcat has now been “lost” for over a decade and unfortunately we’re getting ready to stick a fork in it. Specs: Summit elevation: 850′; Base elevation: 600′. 6 Lifts: 2 t-bars, 4 j-bars. Uphill Capacity: 3,500/hr. Terrain Mix: 30-40-30. Longest Run: 1,900′. Season: usually mid-December through mid-March. Night skiing. Annual Snowfall: 100″. Snowmaking: 90%. The SKInny: Smallish, open-meadow type area with a surprising amount of variety and elbow room. Tree borders and whatnot break up the trails, giving a sense of variety. Nice local operation. Specs: Summit elevation: 2200′; Base elevation: 1000′. 5 Lifts: 1 quad, 1 triple, 2 doubles, 1 rope tow. Uphill Capacity: 6,600/hr. Terrain Mix: 20-60-20. Longest Run: 10,560′. Season: usually November through early April; night skiing mid-December through mid-March. Annual Snowfall: 120″. Snowmaking: 93%. The SKInny: Bristol takes hits for being icy, having a lot of wiseacre snowboarders, and not many trails. While these statements have merit, the fact remains that Bristol is a solid mid-sized ski mountain, and it is the biggest thing between the Catskills and Colorado. Consider that for a moment; Bristol is the closest mid-sized ski resort to the city of Chicago. The vertical is legitimate, and the steeps are long enough and challenging enough to make you work. Liftlines are pleasingly short. All in all, Bristol is a ski area that should be taken seriously, probably 6th or 7th best in the state. Hotshots won’t find a lot, but it works. Wanderers will not like Bristol compared to a Hunter or Gore, but again, it’s the biggest game for the next 1500 miles. Specs: Summit elevation: 2000′; Base elevation: 1000′. 7 Lifts: 4 doubles, 1 j-bar, 2 handle tows. Uphill Capacity: 5200/hr. Terrain Mix: 30-40-30. Longest Run: 10,560′. Season: usually mid November through late March/early April. Night skiing. Annual Snowfall: 75″. Snowmaking: 95%. The SKInny: Skiing is interesting; you can ski into Massachusetts, then back into New York then back…you get the picture. Conditions not as good as Jiminy or other true Berkshires resorts, but it is a decent mid-sized ski area, with generally more challenging terrain. When conditions are “on” you don’t need to be anywhere else, period. As one of the old-line ski areas, it’s a “must ski.” Incidentally, Catamount is one of the areas credited with pioneering the practice of snowmaking. And OK, perhaps they don’t have the most up-to-date lodge, or the most up-to-date whatever, but how often do you ski on a lodge? Honestly it’s a terrific mountain with affordable pricing. The SKInny: Small private club that runs a major-league small ski area, with everything from bunny runs to “back bowls.” Although membership is required, it is not an “exclusive” sort of place…if you live in the Syracuse area this is definitely something you’ll want to look into. Heck, the occasional powder dumps are worth the price of membership. Specs: Summit elevation: 2022′; Base elevation: 1592′. 4 Lifts: 3 doubles, 1 j-bar. Uphill Capacity: 4,200/hr. Terrain Mix: 25-60-15. Longest Run: 3,600′. Season: usually November through early April. Annual Snowfall: 275″. Snowmaking: 70%. The SKInny: Two words: Lake effects. Beyond that, this is a small, easy ski area with reasonably priced tickets. Virtually no liftlines, no fancy-pants attitude. Not for hotshots. After a good snowfall, which they have plenty of, wanderers can find more to do here than at most other 400′ hills; some unofficial glades to sneak into, etc. Probably the best skiing close to Buffalo. Specs: Summit elevation: 2650′; Base elevation: 1925′. 4 Lifts: 2 doubles, 1 poma, 1 pony. Uphill Capacity: 2,200/hr. Terrain Mix: 45-50-5. Longest Run: 5,280′. Season: usually December through March. Annual Snowfall: 100″. Snowmaking: 100%. The SKInny: Located right down the street from Hunter. Biggest of the small Catskill operations, of which there are very few left. Shorter liftlines, less crowded, more low-key than Hunter next door — although it has tried to position itself as a snowboard haven, still a quiet operation. Specs: Summit elevation: 950′; Base elevation: 650′. 3 Lifts: 1 double, 1 t-bar, 1 handle tow. Uphill Capacity: 2,600/hr. Terrain Mix: 33-34-33. Longest Run: 2,200′. Season: usually December through April. Annual Snowfall: 275″. Snowmaking: 75%. The SKInny: As if to prove mother nature has a twisted sense of humor, here’s yet another golf course type ski slope with conditions rivaling Alta and Snowbird. Thanks to lake effects snow, the skiing is decent as small hills go. True experts will not be challenged, but this is an ideal spot for beginners. Speaking of beginners, have you ever heard a ski manufacturer tout a “beginner’s ski” lately? The euphemism is Developing skier. Aren’t we all developing skiers? But I digress. Dry Hill is a dandy little ski area. Specs: 1 handle tow. Run: approx. 1000′. Night skiing. The SKInny: Skiing in its purest form. This is a municipally-operated tow in the heart of the Adirondacks. Beginner/low intermediate slope, warming hut, covered ice rink, purely local crowd. Base area serves as a baseball diamond in the summer. Do yourself a favor, spend a Friday evening here on your next weekend trip to the Daks. Prior to 2016-17 season it was a throwback, super high speed rope tow that was simply awesome. They replaced it with a handle tow, but it’s still pretty cool. Specs: Summit elevation: 550′; Base elevation: 450′. 2 Lifts: 1 mitey mite, 1 double chair. Uphill Capacity: 1,200/hr. Terrain Mix: 40-40-20. Longest Run: 1500′. Season: usually mid-December through March, Thurs-Sun. plus holidays. Night skiing Thurs & Fri. Annual Snowfall: 125″. Snowmaking: 50%. The SKInny: Part of a batting cage/driving range/snow tubing operation. Kind of like a driving range is to a golfer: a place to learn at, and kick around on, honing skills, when you don’t have time to go to the golf course. And it doesn’t need to be any more than that, but it tries…the owner must be a skier…recently added a chairlift (probably unnecessary, but a nice benefit for the regulars). 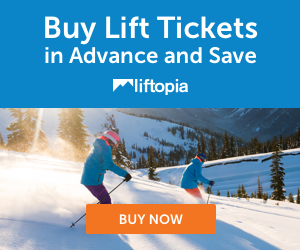 Fun, unpretentious ski area; lift tickets are a bargain. If you live in the Syracuse area, you really ought to support this operation. Specs: Summit elevation: 790′; Base elevation: 650′. 1 T-bar. Uphill Capacity: 2,300/hr. Longest run: 850′. Beginner/Intermediate slopes and trails. Open Weekends and holidays when conditions permit. Rentals. Annual Snowfall: 100″. No snowmaking. The SKInny: Run by Town of LeRoy Parks and Recreation Department, located at the park campground. Why can’t more communities do this? Specs: Summit elevation: 3600′; Base elevation: 1500′. 13 Lifts: 1 8-person gondie, 2 quads, 2 triples, 5 doubles, 3 surface. Uphill Capacity: 8,400/hr. Terrain Mix: 10-60-30. Longest Run: 15,312′. Season: usually November through early April. Annual Snowfall: 150″. Snowmaking: 95%. The SKInny: Second best in the state. Gore is wanderer’s heaven: lots of different “areas,” hard to get from top to bottom, just a big spread out ski area with plenty of hiding places. Hotshots will like it too — some of the steepest in the east are on the upper mountain. The key skier at Gore is the strong blue; even emerging blues/upper novices have a lot to like. Only the true novice has few opportunities at Gore. The other drawback is that conditions at Gore tend to be more like New Hampshire than nearby Vermont…you can always find ice and wind when you need to, and often when you don’t. Overall an excellent, big time ski area, classic trails, not as congested or trendy as Hunter, Stratton, Mount Snow, etc. “Underdeveloped” according to some (we don’t believe anything is “under” developed) but that has changed a bit with some new terrain that opened in 2009 called Burnt Ridge, and more recently, the revitalization of and connection down to the North Creek Ski Bowl. Run by the Olympic Regional something or other, same folks who run Whiteface. Signature Trail: Lies or Rumor. Specs: Summit elevation: 2100′; Base elevation: 1148′. 6 Lifts: 1 triple, 5 doubles, 1 magic carpet. Uphill Capacity: 8,800/hr. Terrain Mix: 30-45-25. Longest Run: 7,920′. Season: usually mid-December through March/April. Night skiing. Annual Snowfall: 110″. Snowmaking: 83%. The SKInny: Decent mid-sized ski area that provides good variety, can be excellent after a snowfall. Prices are probably a little higher than they should be. Greek Peak is spread across three hills (mountains?) with a few hidden runs. A somewhat quirky lift layout and rolling terrain makes this area ideal for the wanderer and solid intermediate skier. Has a couple of tree runs, bump runs, and ungroomed slopes for the more adventurous types, although none of it is particularly tough. The nice thing is that Greek gets the tail end of the lake effects snows that bombard Syracuse, so these odd runs are frequently open. The lifts are true classics — in other words, they’re old. This is thoroughly enjoyable until Saturday after lunch, when the lines become miserably long. But the slopes remain uncrowded (everybody’s either riding the chairs or waiting on line) which is what counts. Cool vibe on the “back side,” which has a parking lot but no base facilities. Weekends in this parking lot mean local passholders crank up the tunes and crack open the coolers, but it is by no means a rowdy scene. Front side or back side, Greek Peak is great for families, intermediates, novices…all but the full-blown hotshot will enjoy this ski area. Signature Trail: Olympian, a mogul run said to have a 40° pitch. Elysian Fields and Mars Hill (both blues) are big favorites among regular Greek Peak skiers. Specs: Summit elevation: 1900′; Base elevation: 700′. 4 Lifts: 2 pomas, 1 rope tow, 1 t-bar. Uphill Capacity: 1,800/hr. Terrain Mix: 30-30-40. Longest Run: 10,560′. Season: usually December through March/April. Annual Snowfall: 98″. Open weekends and school holidays. The SKInny: Hickory was shuttered for years, but has since reopened and does so whenever it has sufficient natural snow. A real throwback. No snowmaking, no grooming, no problem. With a mix of narrow trails, open areas and glades, Hickory is skiing in the 1950s. Virtually no crowds, low cost, no posturing. The only drawback is the lack of grooming and chairlifts can be taxing for the unprepared or out-of-shape. This is a ski area every purist should visit as often as possible. Trail approaches to vistas of Schroon River and the distant Hoffman and Pharoah wilderness areas make for some truly spectacular skiing. Tip: When the Adirondacks are hit with a Friday night snowstorm, head here instead of Whiteface or Gore. Easily in New York’s Top 10. Specs: Summit elevation: 1300′; Base elevation: 900′. 4 Lifts: 1 triple, 2 doubles, 1 rope tow. Uphill Capacity: 7,000/hr. Terrain Mix: 30-40-30. Longest Run: 4,100′. Season: usually mid-December through mid-March. Night skiing. Annual Snowfall: 90″. Snowmaking: 100%. The SKInny: Predominantly for beginners, intermediates. It’s bigger than all the out-of-business ski areas around it. Relies on a local crowd, as Hunter and Mountain Creek tend to siphon off the skiers from the population centers south and east. Liftlines tend to be short. All in all a fun mountain for a day of laid back skiing. Wanderers and hotshots should avoid Holiday; families, beginners, and low-level blues will have a ball. Specs: Summit elevation: 2250′; Base elevation: 1500′. 12 Lifts: 7 quads, 1 triple, 2 doubles, 2 surface. Uphill Capacity: 20,580/hr. Terrain Mix: 33-33-34. Longest Run: 4,400′. Season: usually mid-December through mid-March. Night skiing. Annual Snowfall: 180″. Snowmaking: 95%. The SKInny: Answer: Holiday Valley. Question: What is the closest major ski resort to Cleveland, Buffalo and Toronto? With all that population, Holiday gets crowded, but usually keeps people moving with a dozen lifts. On weekends at the height of the season, the lifts will be terribly crowded. With a 750′ vertical it is classified as a small mountain, but spread out across 260 acres it is a big ski area. If you are skiing HV on a weekend, move away from the lodge area lifts and you’ll find shorter lines. Wanderers will love this place; runs may be short but there are a bazillion to explore. Hotshots will be a bit bored, but will enjoy the style, the crowds, and the apres-ski. Easily the most “resortish” of the Western NY areas; cracks the top ten. Specs: Summit elevation: 2345′; Base elevation: 1620′. 8 Lifts: 2 quads, 2 triples, 3 doubles, 1 t-bar. Uphill Capacity: 11,000/hr. Terrain Mix: 20-30-50. Longest Run: 4,000′. Season: usually mid-December through mid-March. Annual Snowfall: 180″. Snowmaking: 100%. The SKInny: With more advanced terrain, an equivalent vertical, and no liftlines, you’d expect HoliMont to siphon a bunch of skiers off of neighboring Holiday Valley. It would, but for the fact that it is a private club, and only allows “visitors” on weekdays…when there is no real crowd problem at HV. HoliMont doesn’t care; it’s keeping the membership happy that counts. It doesn’t have the variety of HV, but then again, it doesn’t have the weekend mob. If you’re an avid skier and live in the area, either join the club or become very close to someone who already has. Specs: 2 Lifts: 1 triple, 1 t-bar. Uphill Capacity: 1,200/hr. Terrain Mix: 30-40-30. Longest Run: 3100′. Season: usually December to April, Weds-Sun. Night skiing. Annual Snowfall: 90″. Snowmaking: 100%. The SKInny: Private ski club permits non-members on weekdays; memberships are available. Makes the most of the mountain with a half dozen trails on the fall line, bowls at the bottom; one or two traversing trails. Wanderers will be unexcited, but hotshots will enjoy a couple of very hot drops. Nice little ski area, quiet, uncrowded. Specs: Summit elevation: 3200′; Base elevation: 1600′. 11 Lifts: 3 quads, 2 triples, 5 doubles, 1 surface. Uphill Capacity: 15,514/hr. Terrain Mix: 30-30-40. Longest Run: 10,560′. Season: usually November through mid April. Annual Snowfall: 125″. Snowmaking: 100%. The SKInny: “Dynamite” is the word that comes to mind — and it’s not an adjective. In reality, dynamite was used on a small section of the mountain to sculpt a few trails, but it happens to be the most visible part. As a result, Hunter has a scarred appearance, and is thought of as having the most un-natural trail layout in the northeast. But again, this is only a handful of trails on the main “face.” Hunter West, the experts-only area, is mostly fall-line skiing. Hunter One caters to beginners and novices, and the main mountain has something for everyone. Hunter’s reputation for crowds and zany New Yorkers on snowboards runs a very close second to the dynamite tag. It is true, but it’s like anywhere else — go on a weekend during peak season and you will find that it is a zoo. Go midweek and you can enjoy the best the Catskills have to offer. Also, do note that Hunter West is the biggest collection of long, steep trails between Vermont and Colorado. Hunter fits hotshots like a glove, and wanderers will keep quite busy. Have to call Hunter #3 in the Empire State, despite the weekend crowds. Here’s a link to an “unofficial” website that is all things Hunter: PowderHound.org. An excellent site blends photos, info, history, etc. a must-click if you’re headed to Hunter. Specs: 1 t-bar. Terrain: Beginner/Novice. Longest Run: 1,300′. Season: usually December through March. open Saturday, Sunday and School Vacations 12:00 – 4:00 p.m. Annual Snowfall: 98″. The SKInny: Run by Indian Lake Parks and Recreation Department and a regular corps of volunteers. Last we heard, admission was free. Two open type trails off a single lift. It’s another town tow that refuses to die, and we couldn’t be happier. Make a few runs when you’re in the neighborhood. Ski on. Specs: Summit elevation: 1750′; Base elevation: 1200′. 10 Lifts: 2 quads, 4 doubles, 2 t-bars, 1 J-bar, 1 mitey-mite. Uphill Capacity: 11,200/hr. Terrain Mix: 35-35-30. Longest Run: 6,000′. Season: usually mid-December through late March. Night skiing. Annual Snowfall: 180″. Snowmaking: 80%. The SKInny: Average western New York ski area…lake effects snow, small vertical, lots of short trails spread across a wide ridge. Wanderers love these places, hotshots are bored to tears. Trying to verify the skiable acres…I can say for sure that it is not as big as Gore, which has less than half KB’s claim. Longtime skinny on KB is that the prices are high, the liftlines are short. Excellent snow cover most years. Ideal for beginners and novice/intermediates. Specs: Summit elevation: 1825′; Base elevation: 1125′. 5 Lifts: 1 triple, 2 doubles, 1 t-bar. Uphill Capacity: 6,675/hr. Terrain Mix: 27-27-46. Longest Run: 5,200′. Season: usually November through late March/April. Night skiing (except Sundays). Annual Snowfall: 110″. Snowmaking: 95%. The SKInny: Pleasant little old-line ski area, lots of different hills/faces/areas etc. for the wanderer. Separate area for experts; hotshots will be ok here but the target audience is the average skiing family. Does a nice job. As for the 250 skiable acre claim, we don’t believe it. And since off-piste is not allowed, it seems improbable. Specs: 2 chairlifts. Terrain Mix: 33-33-33. Longest Run: 3,500′. Season: usually December through March. Night skiing. Annual Snowfall: 80″. Snowmaking: 95%. The SKInny: Family farm with a tractor-driven rope tow that grew into a local institution. Good spot for beginners and families, local youths, etc. Well worth supporting; the community is lucky to have this place. Specs: 6 Lifts: 1 double, 2 t-bars, 1 pony, 2 rope tows. Uphill Capacity: 3,550/hr. Terrain Mix: 33-34-33. Longest Run: 4000′. Season: usually Thanksgiving to April, closed Tuesdays. Annual Snowfall: 125″. Snowmaking: 65%. The SKInny: Here’s the Mad River Glen of the Adirondacks. One of the oldest, toughest ski areas in the business. Grooming is spotty — which is intentional — and some trails are quite narrow. The bottom of the mountain offers some nice meadow type bowls for the novice and beginner. The hotshot and strong blue skier will also feel at home; the wanderer is the only skier who won’t like skiing in Old Forge. Specs: 1 double chairlift, Uphill capacity 600/hr. Annual Snowfall: 80″. Snowmaking. The SKInny: Semi-private. The Nevele is an upscale resort that offers skiing to paying guests (no day skiers). There used to be dozens of stay & ski resorts in the Catskills, now only the Nevele and perhaps one or two others remain. While it is generally regarded as a Catskills resort, the Nevele ski slope is technically located on the Shawangunk ridge. With its 1200′ long chair, the Nevele is thus the largest ski area in the Gunks. Closed circa 2008; will update when status changes. Specs: Two chairlifts, nordic area, tubing area, ice skating. The SKInny: On your next trip to Gore, plan to leave an hour open sometime over the weekend to visit this site and lend your skiing support to one of the true treasures in the northeast. This is the original Gore Mountain, long since displaced by the big resort but operated for years by the community as a beginner’s area. Back in the 1930s and 1940s this was the place to be; the monster didn’t arrive until the early 1960s, which virtually put North Creek out of business. It was down to an occasionally clanking t-bar, then shut down completely in the mid 2000s. But now it has been absorbed by Gore, re-opened with two fantastic chairs and a terrific terrain park…including a half-pipe! On good snow years it has a connection up to the big mountain, otherwise just the Village chair operates, serving a pleasant novice slope with adjacent half pipe and park. Update: With the addition of first-class grooming equipment and a series of events, the Ski Bowl is now home to an excellent cross country ski center in addtion to the alpine lifts. Specs: Summit elevation: 2400′; Base elevation: 1750′. 3 Lifts: 1 quad, 2 t-bars. Uphill Capacity: 3000/hr. Terrain Mix: 40-40-20. Longest Run: 7920′. Season: usually mid-December to mid-March. Open Fri-Sun plus holidays. Annual Snowfall: 120″. Snowmaking and night skiing recently added. The SKInny: Another throwback ski area in the heart of the Adirondacks. This ain’t Gore or Whiteface, but you’ll find none of the lines, and it’s not nearly as expensive. Ideal for skiers of all abilities, although the true expert will be a bit underwhelmed. Wanderers and hotshots will prefer Gore. Regardless, it’s classic Adirondack skiing. Recommend. Specs: 10 Lifts: 9 chairs, 1 surface. Uphill Capacity: 5,000/hr. Terrain Mix: 20-70-10. Longest Run: 4100′. Season: usually November to March. Annual Snowfall: 130″. Snowmaking: 85%. The SKInny: Nice little ski area. Skiers rule here (as opposed to the snowboarders), so we think it deserves 10 stars. Like the rest of the western NY “ridgeline” areas it spreads across the mountain, offering a lot of different “faces” and trails to make up for being vertically challenged. Considering its proximity to Cleveland and other Erie population centers, you’d expect it to be more crowded; the number of chairs do a good job of keeping people moving. Good family ski area. Believe it or not, wanderers will love it — as far as small mountains go — it feels like four distinct mini ski areas. Hotshots should stay away. Specs: Summit elevation: 1250′; Base elevation: 750′. 3 Lifts: 2 double chairs, 1 handle tow. Uphill Capacity: 2,500/hr. Terrain Mix: 33-34-33. Longest Run: 3960′. Season: usually Thanksgiving to March/April. Annual Snowfall: 50″. Snowmaking: 100%. The SKInny: Billing itself as “The Friendly One,” this is a decidedly unhurried atmosphere with none of the attitude and frenzy of nearby Mountain Creek (NJ). It is one of New York’s oldest continually operating ski areas, founded in the 1930s. Current owners Don and Gail Sampson remodeled the trails, the lodge, the whole deal. It reflects the personal care and dedication they put into it. Emphasis is on service and quality rather than killer trails and jib parks. Families, beginners, novices and low level intermediates will feel as if they have found the perfect ski area. That’s because for them, they have. Experts, Hotshots and wanderers should head a few miles south. Specs: Summit elevation: 2500′; Base elevation: 2100′. 2 Lifts: 1 t-bar, 1 handle tow. Uphill Capacity: 680/hr. Terrain Mix: 80-20. Longest Run: 1800′. Season: usually mid-December to March/April. Open Thur-Mon. Night Skiing Thurs & Fri. Annual Snowfall: 60″. Snowmaking 80%. The SKInny: Operated by the town of Saranac Lake, the “Veterans Memorial Ski Center” is what an Adirondack winter is all about. With five “trails,” a legit base lodge, beautiful setting, and 400′ vertical, this is as good as a local tow gets. Ski half a day for ten or twelve bucks, and still have enough energy to stay awake for dinner, which you can buy with the money you saved. Low-stress, family oriented. Mom can shop while the kids ski for a couple hours. You can’t beat it. Specs: Summit elevation: 3500′; Base elevation: 2400′. 3 Lifts: 1 triple, 1 double, 1 surface. Uphill Capacity: 4500/hr. Terrain Mix: 20-40-40. Longest Run: 11,880′. Season: usually early December through early April. Annual Snowfall: 165″. Snowmaking: 85%. The SKInny: Not much to say, not much is needed. Plattekill is wild, remote, snowy, and fabulous. No liftlines to speak of. The terrain offers something for everyone, including the typical nasty Catskill steeps. Glades. Hunter gets the crowds, Plattekill gets the dedicated skiers. You figure it out. Wanderers will be semi-ok with Plattekill, hotshots will have plenty to put them through their paces. Even the family can find something to do, and they’ll be glad to avoid the mobs at the other Catskill resorts. Unlike most ski areas, Plattekill has plenty of not-so-secret unofficial routes and stashes — many marked with hand painted signs nailed up by regulars — you can literally ski for days and not take the same route. Best of all, as long as you keep it between the trails, and don’t venture beyond the greens on either side, you won’t get your ticket clipped. In fact, you’re almost encouraged to do so. Plattekill can be as extreme as you want, or as gentle as you want. Solidly in the top 10 on the New York list; some will say that Plattekill is as good as it gets. It’s hard to disagree. Here’s a terrific article and photos about Plattekill on the NELSAP website. Recommend. Specs: 1 surface lift. Terrain: Beginner/Novice. Longest Run: 1,000′. Season: usually December through March. Private; open to guests of the resort. Annual Snowfall: 98″. The SKInny: Skiing would be unspectacular but for the fact that this is a well regarded resort operation. Specs: Summit elevation: 1180′; Base elevation: 1030′. 2 rope tows. Uphill Capacity: 1000/hr. Terrain Mix: 100-0-0. Longest Run: 1,000′. Season: usually late December through mid March. Rentals. Annual Snowfall: 30″. Snowmaking: 100%. The SKInny: Private resort/dude ranch/chuckwagon situation. Skiing open to the public. Specs: Summit elevation: 1800′; Base elevation: 1250′. 3 Lifts: 2 doubles, 1 t-bar. Uphill Capacity: 2000/hr. Terrain Mix: 33-34-33. Longest Run: 3,400′. Season: usually late December through March/April; Saturdays, Sundays & Holidays. Rentals. Annual Snowfall: 90″. Snowmaking: 80%. The SKInny: Nice little mountain, some exciting trails, pleasant top ticket price less than $30. Good, low-key atmosphere. Excellent for beginners, families, growing intermediates. Not for hotshots or wanderers. Specs: 1 rope tow. Terrain: 60-40. Longest Run: 1,000′. Season: usually December through March. Open weekends and holidays. Rentals. Annual Snowfall: 30″. Snowmaking: 70%. The SKInny: Nice little learner area for Poughkeepsie/Newburgh/Kingston etc. The SKInny: Here’s another little volunteer operation that has come back from the ashes. Nice handle tow located at the end of the municipal golf course. It’s fantastic, and it’s free. A lot of local people work hard to keep this going, and if you live in the area, they could use some help. Anyway it’s seldom crowded, and it’s always fabulous. Operates weekends when conditions permit. Specs: Summit elevation: 2000′; Base elevation: 1350′. 7 Lifts: 4 doubles, 2 t-bars, 1 rope tow. Uphill Capacity: 6,000/hr. Terrain Mix: 20-55-25. Longest Run: 4000′. Season: usually Thanksgiving to early April. Night skiing Th & Fri. Open 7 days. Rentals. Annual Snowfall: 230″. Snowmaking: 50%. The SKInny: Lake Ontario treats this place well. Conditions can ice up, but basically Snow Ridge has plenty of snow on the ridge (I couldn’t help it). Small but plenty of steeps, similar to Allegheny ski areas in that it stretches across the ridge, giving the feel of three small ski areas side by side. As a result, Wanderers will love it. Hotshots will be ok too, with plenty of steeps, albeit short ones. Good all around little ski area. With a top ticket price of $28 delivering as much as 20 feet of snow, Snow Ridge is a great value. Specs: Summit elevation: 1940′; Base elevation: 1240′. 5 Lifts: 1 triple, 1 double, 2 t-bars, 1 j-bar. Uphill Capacity: 5,800/hr. Terrain Mix: 58-29-13. Longest Run: 5000′. Season: usually Thanksgiving to March. Night skiing. Open 7 days. Rentals. Annual Snowfall: 125″. Snowmaking: 75%. The SKInny: Good little mountain; feels bigger than its 700′ and offers plenty of variety. It’s a ski area, meaning that there is very little for the snowboarder in the way of jibs, rails, tables, pipes, tubes, hits, or whatever other stuff they gravitate to. Lines are short, grooming has been spotty in the past. All in all, one of the best pure skiing ski areas in central NY. Sterling Forest • Please see “Tuxedo Ridge,” below. Specs: Summit elevation: 1970′; Base elevation: 1320′. 5 Lifts: 3 quads, 1 double, 1 surface. Uphill Capacity: 8,400/hr. Terrain Mix: 39-28-33. Longest Run: 5,280′. Season: usually December to March. Night skiing. Rentals. Annual Snowfall: 130″. Snowmaking: 97%. The SKInny: Family and after school type ski area geared to beginners, novice/intermediates, etc. Small hill, relaxing day of skiing, lines are short. Family atmosphere, not recommended for wanderers or hotshots. Specs: Summit elevation: 1500′; Base elevation: 1000′. 3 Lifts: 1 double, 2 surface. Uphill Capacity: 2,200/hr. Terrain Mix: 13-47-40. Longest Run: 3,300′. Season: usually December to March/April. Th-Su. Night skiing Th-Sat. Rentals. Annual Snowfall: 180″. Snowmaking: 60%. The SKInny: Comfortable, small, “local” type ski area, owned by local people. Unlike a lot of smaller central NY areas, not every trail is baby simple. Wish every community had a Tamarack. Specs: 9 Lifts: 1 triple, 2 doubles, 1 t-bar, 2 handle tows, 1 rope tow, 1 magic carpet, 1 carousel. Uphill Capacity: 3500/hr. Terrain Mix: 40-40-20. Longest Run: 5,280′. Season: usually December to March. Th-Su. Night skiing. Rentals & Lessons. Annual Snowfall: 60″. Snowmaking: 100%. The SKInny: Nice little family-oriented, family-run operation in the mid-Hudson region. Draws on Danbury CT., White Plains, Newburgh…so it can get crowded. By using the various tows and skiing during the week you can move along nicely (isn’t that true anywhere?). Not much here for the hotshot, but the wanderer will find it surprisingly pleasing due to the “ridge” layout. Well-run ski area, they don’t hesitate to spend money making snow. Young family types from NY metro area ought to head here instead of Hunter. Ski trivia buffs will enjoy the fact that Thunder Ridge actually has two crossing lifts; both chairs cross surface lifts. Specs: Summit elevation: 1350′; Base elevation: 150′. 9 Lifts: 2 triples, 5 doubles, 2 surface. Uphill Capacity: 2,200/hr. Terrain Mix: 35-36-29. Longest Run: 9,240′. Season: usually December to April. Night skiing Weds-Sat. Rentals. Annual Snowfall: 180″. Snowmaking: 100%. The SKInny: Low-key, easy going affordable ski area. Although it has a decent vertical, nobody will confuse Titus with Whiteface. Infrastructure is a little older, clientele isn’t as flashy, etc. Excellent family ski area; wanderers will like it as well. Specs: Summit elevation: 2200′; Base elevation: 1550′. 6 Lifts: 1 triple, 1 double, 2 t-bars, 2 rope tows. Uphill Capacity: 6,400/hr. Terrain Mix: 25-50-25. Longest Run: 5,280′. Season: usually December to April. Night skiing Mon-Sat. Rentals. Annual Snowfall: 160″. Snowmaking: 90%. The SKInny: Family oriented small hill, generally regarded as having better black diamond terrain than most of the local ski areas. Nothing that is going to set the world on fire; just better than the average central NY. Specs: Summit elevation: 1400′; Base elevation: 950′. 4 Lifts: 4 double chairs. Uphill Capacity: 3,800/hr. Terrain Mix: 20-70-10. Longest Run: 3000′. Season: usually December to March. Night skiing. Rentals. Annual Snowfall: 36″. Snowmaking: 100%. The SKInny: After school type ski area for suburban NY NJ kids. Great area for beginners, novice/intermediates, etc. This vintage photo shows the original lodge circa 1958. In 2005, Ski Sterling Forest suspended operations. New owners stepped up and, incredibly, reopened successfully for the crappy winter of 2006-07. It’s really a terrific little operation, excellent grooming and affordable tickets and passes. We like it. Specs: 2 Lifts: 1 rope tow, 1 double chair. Terrain Mix: 40-40-20. Longest Run: 1300′. Season: Late Dec-early March (?). Night Skiing. The SKInny: Named after local 3 time Olympian ice skater Valentine Bialas, this hill is actually located within the city limits, in Roscoe Conkling Park on Memorial Parkway. Great new ski chalet features snack bar and double sided fireplace. This is a shining example of what a community can do if they put their minds to it. Definitely worth a visit. Specs: 2 Lifts: 1 double, 1 t-bar. Uphill Capacity: 2,200/hr. Terrain Mix: 50-25-25. Longest Run: 9,240′. Season: usually December to March. Closed Wednesdays. Rentals. Annual Snowfall: 50″. Snowmaking: 100%. Specs: Summit elevation: 1470′; Base elevation: 1010′. 5 Lifts: 1 triple, 2 doubles, 2 rope tows. Uphill Capacity: 4,300/hr. Terrain Mix: 36-55-9. Longest Run: 7,920′. Season: usually December to April. Night skiing Mon-Fri. Rentals. Annual Snowfall: 80″. Snowmaking: 70%. The SKInny: Nice mid-sized ski area convenient to the Northway. No real crowds; ideal for families, novices, and developing intermediates. Not a big place, but the wanderer can mix it up for better than half a day. Friendly, low-key atmosphere. Not exactly for hotshots, but there’s a definite racing crowd orientation to the place. This is the place that people see from the Northway when they’re on the way to Killington or Whiteface, and they all say “I want to stop and ski there someday.” Well I’m here to tell you that you ought to put a little more effort into the stopping and skiing part. Specs: Summit elevation: 4,650′; Base elevation: 1220′. 10 Lifts: 1 gondie, 2 quads, 1 triple, 5 doubles, 1 surface. Uphill Capacity: 10,385/hr. Terrain Mix: 20-37-43. Longest Run: 18,480′. Season: usually mid November through mid April. Annual Snowfall: 168″. Snowmaking: 95%. The SKInny: Here’s #1. Or maybe not, depending on your point of view. Whiteface is New York’s top ski destination, with plenty of terrain and variety for everybody: beginner to hotshot, wanderer to telemark skier and everything in between. The Slides are the visible trademark at Whiteface; this is double black diamond skiing regardless of your expertise. The vertical at Whiteface is the beast of the east, and it’s bigger than most of the west, come to think of it. Lest you get too excited, remember that this is the Adirondacks, not the Wasatch, and “granular” (i.e., ICE) is more common than powder. But we’re being negative. Look at the positives…no trailside condos, for one. Another big plus is that Whiteface has a separate beginner/novice area called the Bear Den (formerly the Bunny Hutch) — complete with its own glades. It has its own separate base lodge, and it is one of the finest places you can take a true novice. For experts and wanderers, this is a big, exciting place to ski. For intermediate skiers? Not so much. Intermediates tend to get funneled into Parons, Excelsior, Boreen and the other Valley trails — and if your group is pure blue skiers and low end diamond skiers, they will find more variety and a more affordable price tag at Gore. But even at that, you’ll have a great day at Whiteface; just keep in the back of your mind that it does earn the nickname “Iceface.” Expansion in 2009 reopened the classic hand-cut Wilmington ski trail and put Whiteface in league with anything else in the northeast…assuming you’re an expert. So what’s the downside? Well the ice for one, after that would be the parking, and the main base lodge is horrific. Architecture hearkens back to some sort of Soviet gulag, you seem to constantly be going up and down stairs, and the top floor bar/food service is disorganized and unpleasant. Bear Den Lodge is a much better option, however if you go there with any kind of voucher or odd ticket, they are unable to deal with it — maybe their union doesn’t allow it? Certainly in the age of computer machines and they should be able to handle this. Stupidity? Different POP terminals? Whatever, this sort of disconnect seems to pervade much of Whiteface customer service. Anyway, if you have any sort of pass or comp ticket you gotta deal with the madness at the main base lodge. Happy days! Thanks, ORDA. Signature Trail: The Slides, Cloudspin. Specs: Summit elevation: 1415′; Base elevation: 910′. 4 Lifts: 1 double, 1 t-bar, 2 handle tows. Uphill Capacity: 3,000/hr. Terrain Mix: 30-40-30. Longest Run: 5,000′. Season: usually late December/early January through early April. Night skiing Tue-Sat; closed Mon. Rentals. Annual Snowfall: 80″. Snowmaking: 65%. The SKInny: Family-oriented small ski area, just enough terrain to make it terrific for the novice or emerging blue. Good learning environment. You know, I have to put my two cents in here…I think every skier should learn at a place like Willard…start with a handle tow, learn to ski up on a t-bar, and graduate to the chair. Magic carpets and detachable sixpacks have raised a generation of skiers that have more trouble getting up the mountain than getting down. Specs: Summit elevation: 3,100′; Base elevation: 1500′. 12 Lifts: 2 quads, 4 triples, 1 double, 5 surface. Uphill Capacity: 18,850/hr. Terrain Mix: 30-45-25. Longest Run: 11,880′. Season: usually mid November through early April. Night skiing Thu-Sat and holidays, late Dec-Feb. Annual Snowfall: 110″. Snowmaking: 97%. The SKInny: Windham is the “in the know” alternative to Hunter in the Catskills region. It is two decent mountains side by side, each with a different “feel.” The eastern hill has three deceptively long and steep trails, black diamonds, and one very long and pleasant novice trail. Two of these trails, Wicked and Wing’n It, will test any hotshot’s mettle. The main mountain has a number of novice/intermediate trails on one side, and a series of short but nasty double blacks on the other side, all of which have nice long gentle run outs. In the middle, below the east mountain, is the Whiteway area, which caters to novice skiers and offers some sort of halfpipe. The gem of the entire complex is the Wheelhouse Lodge, located at the top of Whiteway. This mid-mountain restaurant and rest spot is a Catskill classic, with fair prices! Can you imagine that? Windham moves people up the mountain nicely; even when crowded you can find a short liftline if you move around. Wanderers will generally be satisfied; they can move from lift to lift, ski in remote woods or next to slopeside condos. Hotshots will have plenty to keep busy, and novices can delight in Wanderer and Wraparound trails. Incidentally, during good snow years, telemark skiers find plenty of hidden trails, chutes and off-piste stuff. We’ll rank Windham #4 in the state, although a case could be made to put it 3rd, ahead of Hunter. The choice is yours: If you’re a Windham fan, we’ll gladly call it #3. But don’t let the folks at Belleayre or Plattekill hear you say that. Maybe I should do away with this ranking thing. They’re all great ski areas. Specs: Summit elevation: 1400′; Base elevation: 900′. 3 Lifts: 2 doubles, 1 t-bar. Uphill Capacity: 3,400/hr. Terrain Mix: 20-60-20. Longest Run: 4,000′. Season: usually December through March. Night skiing Wed-Sat; closed Mon. Rentals. Annual Snowfall: 180″. Snowmaking: 85%. The SKInny: Small ski area, novice to intermediate level, backyard ski area for Rome and environs. Inundated with snowboarders. Still, an under appreciated local ski hill.